Effortless movement on all carpeted, wooden and tiled floors. For 30 years we have been the proud designers and suppliers of the ChairMate brand of carpet and floor protectors in South Africa. Through state-of-the-art extrusion and international design standards, ChairMate is today an industry leader supplying affordable superior quality carpet and floor protectors. Floor protectors produced by ChairMate include the traditional spiked carpet protectors for deep pile carpeting and non-slip chair mats for low pile carpets, laminate and solid wood floors as well as tiled flooring. Years of protection to your floor surface, be it carpet, wood or tiles. Ideal for deep piled carpets. 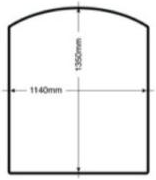 Specifications as below, while undersurface includes a grid on 25 mm centres of 4mm extruded spikes to allow the protector to grip into the carpet surface without damage to the carpet. Ideal for tiled and wooden floor surfaces. 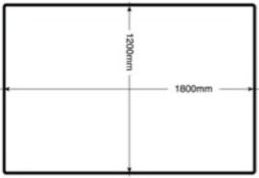 Specifications as per basic specifications below, and undersurface includes nonslip strips to allow protector to sit firmly onto low pile carpet tiled floors as well as on wooden solid or laminate and ceramic tiled floors. Sizes: 3 perfect sizes, to fit any workspace, desk area or home office. Before you choose your shape consider your chair’s roll area. Do you sit still or move from a desk to an extension filer or credenza. Determine the furthest points you roll to retrieve items and then pick a size and shape that will cover these dimensions. There’s a range of sizes and shapes to suit your space. 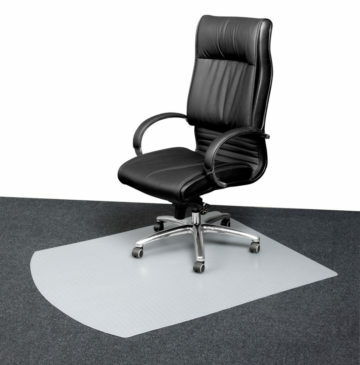 Ensure the chair mat selected is correctly matched to the floor surface it is to be used upon. Nonslip undersurface for laminate or hardwood floors and low pile carpets of 6mm or less. Mats should be laid completely flat on the floor and should not overlap. Any liquid spilt on the mat surface should immediately be wiped up and dried to reduce the risk of slipping. Using soapy dishwashing detergent and a light brush with warm water and a subsequent dry down with a cloth is all that is required to clean your chair mat. Always ensure, when cleaning, that both upper and under surfaces are completely dry and free of water before reusing. We are conscious about our responsibility towards our environment and future generations and place great emphasis on our sustainable production processes. We therefore use environmentally friendly raw materials. Our floor protection mats are produced from the extremely hard wearing and durable Polypropylene which can be 100% recycled into many applications, from buckets and closures, to garden furniture, pallets, pipes, and more. 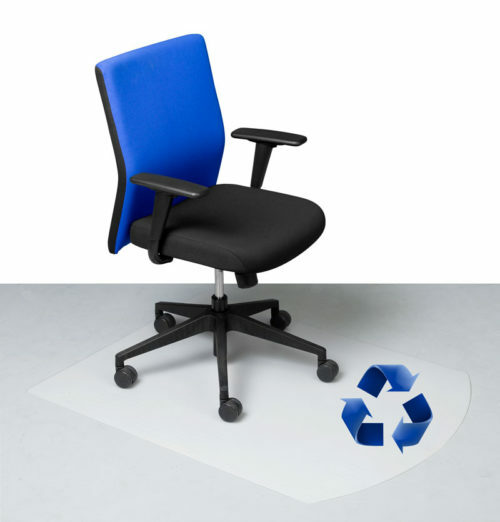 When your chair mat reaches the end of its life, please recycle it. ChairMate is available in South Africa through our trusted network of leading office furniture retail outlets. 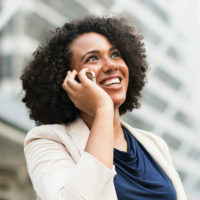 Simply click onto the retail outlet name (inside a block) to go directly to their web site, or click on “Store Locations” for details of the relevant branch closest to you. When purchasing, always insist on the ChairMate brand for guaranteed quality and service. Copyright© 2018 ChairMate (Pty) Ltd. All rights reserved.